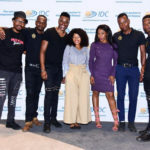 The IDC rounds off a successful year, disbursing a record amount in funds – up 91% on the previous year – despite a fragile global economy. The Industrial Development Corporation has entrenched its position as a key player in the sustainable industrialisation of South Africa. It disbursed a record R16-billion of funds in the 2102/2103 financial year, a 91 percent increase on the R8.4-billion disbursed the previous year. The corporation also maintained its funding approvals, at R13.1-billion from R13.5-billion previously. Of this, investments in new projects and start-ups accounted for 33 percent; 25 percent was allocated to capacity expansions; and the balance was advanced to expansionary acquisitions and distressed companies. A total of 238 projects were approved in the financial year, slightly down from 293 in the previous year. Qhena added that the despite the challenges posed by the prolonged sovereign debt crisis in the euro zone and a moderation in the pace of growth in many emerging and developing countries, the IDC continued to play a proactive role in the economy by supporting the development of key industries. It maintained its risk appetite in the face of a fragile global economic recovery. Rising impairments reflected the challenges affecting many of its clients. Group impairments for the period rose to R1.7-billion from R1.1-billion in 2012. However, the corporation’s prudent approach to its investments as it sought to ensure continued sustainability allowed it to record group profits before tax of R2-billion, down from R3.3-billion achieved previously, he added. IDC activities during the year resulted in the creation of almost 18 922 direct jobs and the saving of 3 950 existing jobs. However, this was significantly lower than the previous year’s achievements of 34 788 and 11 168 respectively. Qhena attributed this to capital-intensive investments and strategic acquisitions, but said that over the longer term these investments would have a positive impact on employment creation. One of the group’s key performances in the period was its appointment to co-ordinate planning for the Saldanha-Northern Cape Corridor and the Green Economy Strategic Integrated Projects under the government’s infrastructure development programme. In addition, the group reported high uptake of special funding schemes. By the end of the year it had committed 81 percent of the Unemployment Insurance Fund, 23 percent of the Manufacturing Competitiveness Enhancement Programme, 35 percent of the Green Energy Efficiency Fund and 83 percent of the Agro-Processing Competitiveness Fund. In line with its strategy to improve the competitive landscape and achieve the development potential of local industries such as steel manufacturing, the IDC acquired majority ownership of Scaw Metals in a R3.4-billion deal. “Scaw is a significant player in the local steel industry and the company’s ability to ramp up steel production could, in the long run, help to build a more competitive industry,” said Qhena. 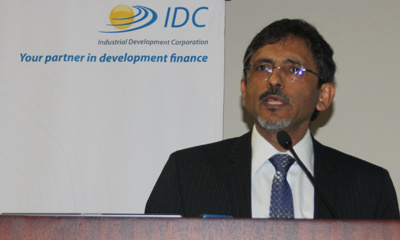 Minister of Economic Development Ebrahim Patel, also speaking at the results announcement, commented that the strong figures demonstrated the IDC’s importance as a national asset with the unique mandate to industrialise the economy and advance employment. Development should not only be measured by financial indicators, Patel said, but also by successes such as investment in core productive areas like manufacturing, agro-processing and mineral beneficiation; infrastructure development; innovative financing models; developing new sectors like the green economy; promoting high-level service sectors, such as tourism; and supporting regional integration and African industrialisation. With regards to growing the green economy, the IDC has invested in the government’s renewable energy programme and is supporting 17 projects that will raise generation capacity by 70 MW of green energy. In addition, it is a lead investor in developing a commercially viable biofuels production sector. The group is also focusing on expanding the fabricated metals, capital and transport equipment industries, on the back of infrastructure build programmes at state-owned companies such as Eskom, Transnet and Prasa. Patel explained that in its efforts to enhance its ability to respond to the needs of its clients, the IDC had refined internal systems and application processes, resulting in a 37 percent improvement in turnaround time for non-complex transactions. Based on the strengths already demonstrated by the IDC, he expected it to achieve even more in the years ahead. “We have set a stretch target for increasing the level of investment in the economy. 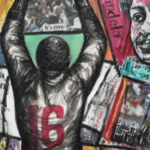 This requires that the IDC actively develops its projects pipeline as well as its capacity to assess risk and support its investment partners.” He added that this pipeline must have a greater impact on job creation, youth employment, small business development and increase investment in under-serviced provinces. “Priority must be given to greenfields investments that create new jobs and deepen industrialisation. In particular, we need to expand the number of black industrialists in the economy and support commercially sustainable empowerment that is broad-based, and widen the pool of skills, innovation and enterprise that we draw on to grow the economy and promote inclusion,” the minister concluded. 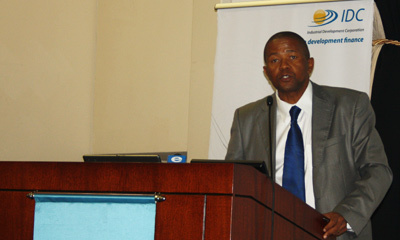 The report – titled Towards rapid, sustainable and inclusive development – covers the IDC’s financial and non-financial strategy and performance aspects for the year ending March 2013.